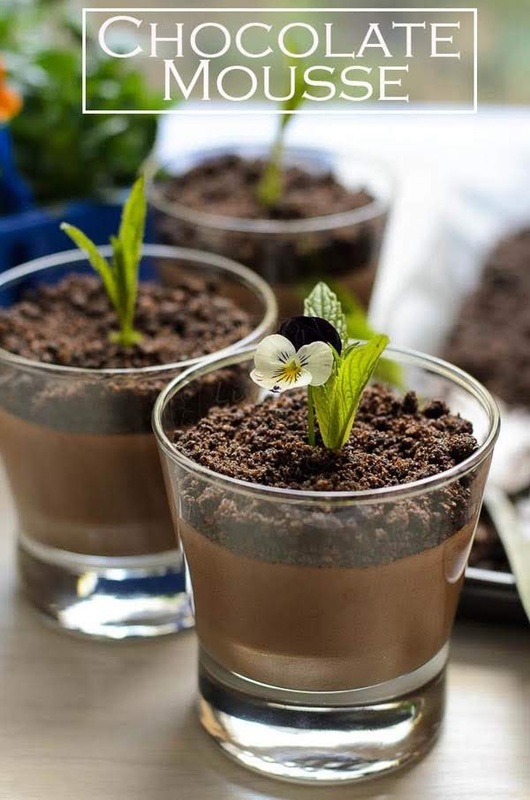 A decadent dessert, great for entertaining and awesome edible kitchen projects with kids. It's time to get out and get our hands dirty. Garden is gravely in need of some TLC after cold windy winter this year. I could see weeds growing taller than my grass. One huge yucca (we nicknamed it Jabba The Hut) is withering, even the doves decided not to set up nests within its dying leaves :(. Few lemongrass clumps aren't faring too well either. arrghh... I might be swimming with sharks, dead leaves and bugs this summer!!! if hubby is still busy with work. While waiting for little tiny seedlings to break through the dirt, and waiting for good weather before we actually get our hands and knees smudges with soil, we might as well get some practise in the kitchen with this great Chocolate Mousse with Chocolate Dirt dessert. 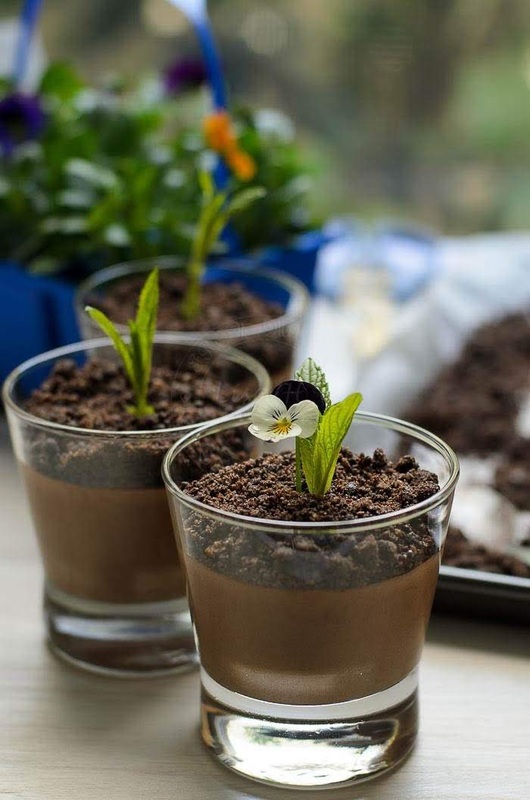 I contemplate of making Chocolate Mousse with Chocolate Dirt, because I thought that making chocolate dirt is tricky! Who would have thought that making chocolate dirt was dead easy to make. 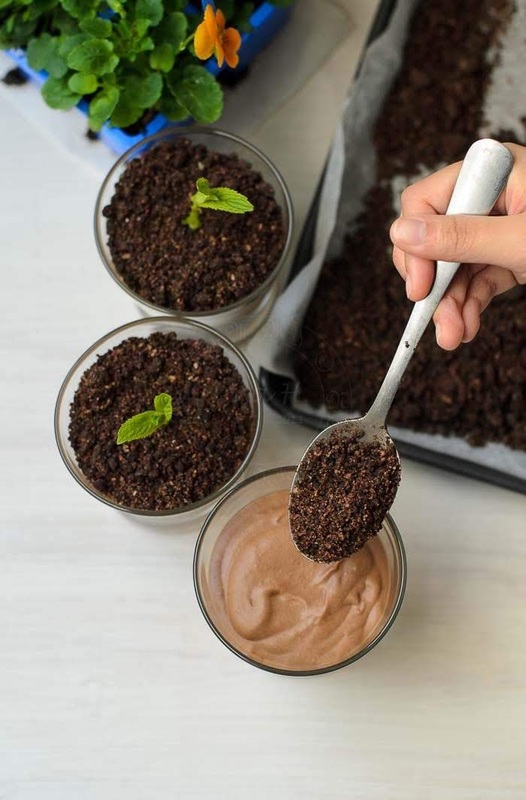 Chocolate dirt really resemble like the real dirt, once mix is done and baked. Grainy, unattractive dark brownish clumps. 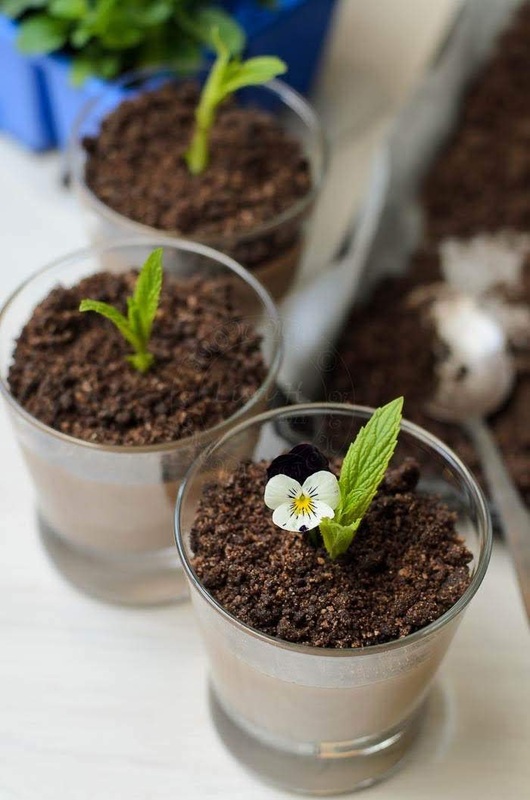 The result of Chocolate Mousse with Chocolate Dirt is awesome. Smooth and grainy texture in every spoonful. The combination of sweetness from the chocolate mousse with grainy, slightly bitter chocolate dirt was awesome. 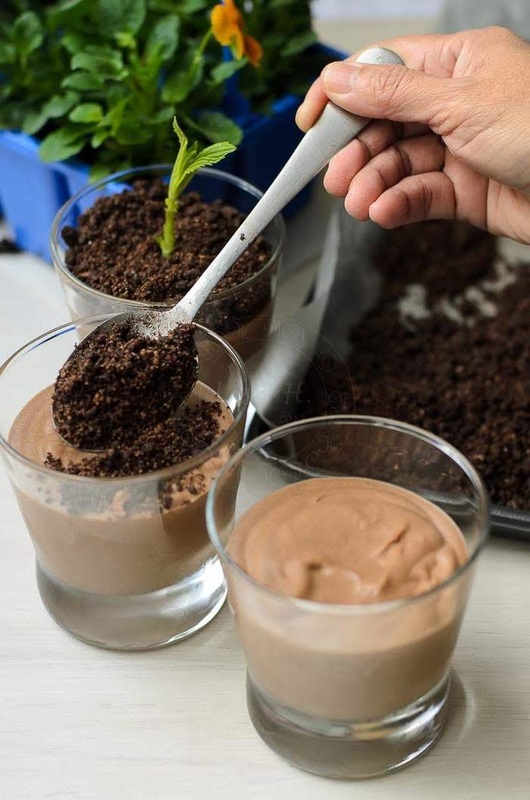 This Chocolate Mousse with Chocolate Dirt makes an excellent kitchen project with children for parties. 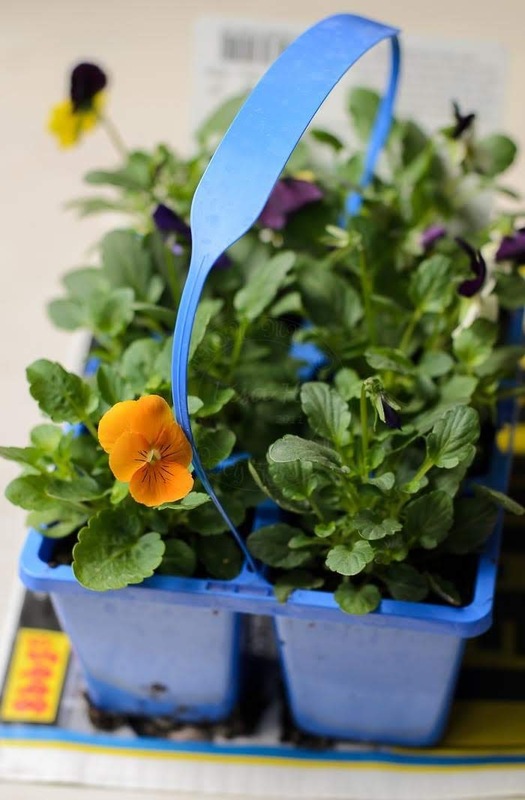 Add some worm lollies, and they will have enjoyable time making and eating delicious dirt and worms too. Fold in cream into chocolate mixture then fold in egg white mixture in two batches. Cool before dividing into 8 cups above. A perfect dessert to welcome the Spring! What an excellent idea, love how you are presented this dish. Nice bit of texture too. My kids are going to love making this dessert! Great idea for Halloween with something "creepy" reaching up thru the dirt. Thanks. creative idea, I was definitely intrigued by your title. It does look like regular dirt especially with those flowers...a tasty surprise! I congratulate you for this dessert so creative and delicious, I try to do to enjoy it. Lisa these are pure GENIUS!!!! I love the flowers in them, but I am thinking of replacing them with some jelly snakes (as worms) and making them for my two boys!!!! And I know exactly what you mean about the garden!!! The weather last winter in WA was crazy!! It just never seemed to end did it!!!! Love this recipe! For the dirt I used chocolate cake w/o the frosting. I baked the choc cake pieces at 350 degrees for about 15 min until crispy but not burned, and then put that into the food processor until it resembled dirt. It was a hit! Thank you!